What is a Hosted Cloud Telephone System? 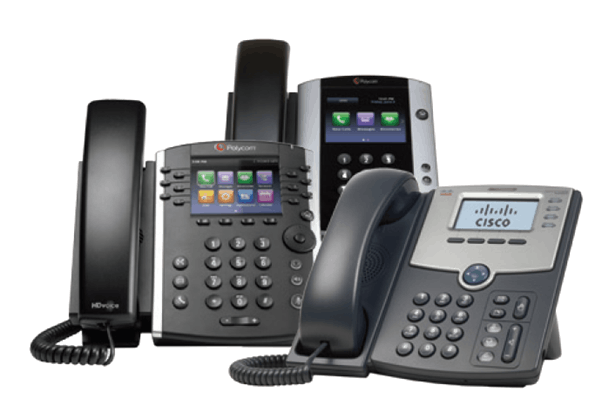 A Hosted Cloud Telephone System, also referred to as Voice over Internet Protocol “VoIP” phone system, Virtual PBX, Hosted PBX, Hosted VoIP is a business telephone system which is hosted in the cloud instead of using traditional analogue or ISDN lines connected to a PBX. You make and receive calls using an IP handset or other technology. The voice traffic is carried over an internet connection which in turn is connected to data centre sitting within the cloud. Why use a Cloud Phone System? In times gone by, cloud based VoIP telephone systems were considered unreliable but with new technologies and improved Internet speeds, Hosted Cloud Phone Systems are fast becoming the preferred option for millions of businesses across the UK. The primary reason most organisations switch to cloud telephony is the increased flexibility and scalability for business growth along with a considerable reduction in costs over traditional PBX telephone systems. So whats the call quality like? With assured broadband services engineered for VoIP telephony and data, you can be assured of guaranteed voice quality, underpinned by some of the most stringent SLAs in the business. Why choose SBC for Cloud Voice? We are a highly reputable Hosted Cloud Phone System provider for businesses of all sizes, from a single user to large multi-site organisations, we take the time to fully understand how your business operates, get a holistic view of your voice, data and communications needs, and only recommend solutions based on your business objectives and growth plans. Established 1990, we are trusted by hundreds of customers in the UK to provide, cost effective, reliable, flexible cloud phone systems. Why choose an SBC Cloud Telephone System? Our complete hosted cloud business phone system provides a comprehensive range of fixed and mobile telephony capabilities via an easy-to-use web portal and comes with many advanced features not typically available in a traditional on-premise PBX phone system. 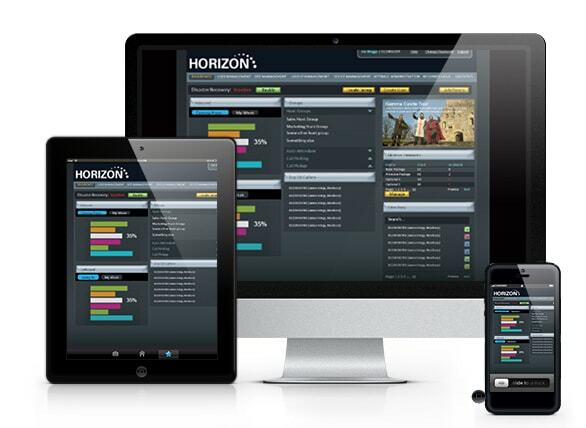 Our solution takes the burden away from your staff or IT team. Local administrators manage and configure the system according to your organisation’s needs. Employees can then manage their calls easily and effectively – maximising staff collaboration and productivity, particularly if your organisation has multiple sites with remote workers. Can I have a Cloud Phone System in my business? If you don’t have a traditional telephone system (PBX) in your business then a hosted cloud telephone system is perfect for you. And with the recent announcement from BT Group CEO Gavin Patterson stating ISDN services from its Public Switched Telephone network will be switched off in 2025, there has never been a better time to upgrade your existing PBX phone system if it is not compatible with the 2025 end of life. Our hosted IP telephony system suitable for any sized organisation and is particularly powerful if you have multiple sites working together. It’s also capable of serving endless users. From only £14.95 + VAT per month/per user, you can immediately benefit from a cheaper, more reliable, no hassle, flexible telephone service. Cloud Phone Systems meeting your business needs? »» An on-demand solution with no hidden costs. No capex, price per seat, easy to scale up or down. Free site to site calls and cheaper call rates. »» Provides number choice flexibility. Area codes no longer tied to destination. »» Features that can be easily controlled. Hot-desking, home working and mobile phone integration. Make & take calls during unexpected events. What makes Cloud Phone Systems different? 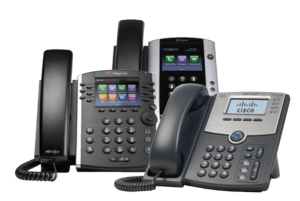 Premium IP handsets such as Yealink or Polycom with optional desktop and mobile clients. Easy-to-use web portal providing feature control and valuable user information. With an experienced in-house technical team, we provide the ultimate experience and service. SBC partners one of the largest UK telecommunications company. Providing next generation IP voice and data services enables us to deliver a truly first class, fully managed, end-to-end service. We lead on assured VoIP quality of service, and reliability. Broadsoft call controller supporting millions of business users worldwide. Broadsoft is the world’s leading call controller platform which sits at the heart of SBC cloud hosted VoIP solution providing the broadest feature set and a sole focus on delivering the richest user experience in unified VoIP communications. Fast, efficient responses to your support queries and issues. Based in Andover, Hampshire – SBC provide a support team that includes; consultants, technical support staff and fully accredited engineers. Free 01, 02, 02 and 07 calls – We make charges a thing of the past. One number anywhere – Never miss a call. Sequential ringing – Integrate your fixed and mobile service. Auto attendant – Provide callers with menu options for call routing. Anonymous Call Rejection – No more unwanted calls. Call history – View all calls made, missed and received. Voicemail to email – Play your voicemail directly from you email inbox. Transfer calls – Transfer calls to any internal or external number. Music on hold – Keep your customers happy while they’re on hold. Hunt groups – For distributing and allocating calls across your team. Call waiting – Ensures your’re ready to take your next call. Home worker – Lets you take your profiles and settings to your home office. Remote office – Use you number and profile on any phone. Call barring – Bar unapproved call types. Video Conferencing – Reduced Travel Time and Costs. 2000 FREE minutes per user to UK 01, 02, 03 numbers. 2000 FREE minutes per user to UK mobile numbers. 01 Dedicated assured broadband service for VoIP and Data. 01 Cisco 887 Provisioned 4 Port Router. 01 PSTN premium analogue back up line. 05 Yealink colour screen business media phone. 05 Yealink power supply unit. Transfer your existing number or choose new ones. Remote installation and setup including equipment delivery. Includes all features listed above. Technical support for 05 users. Build your next cloud phone system online!